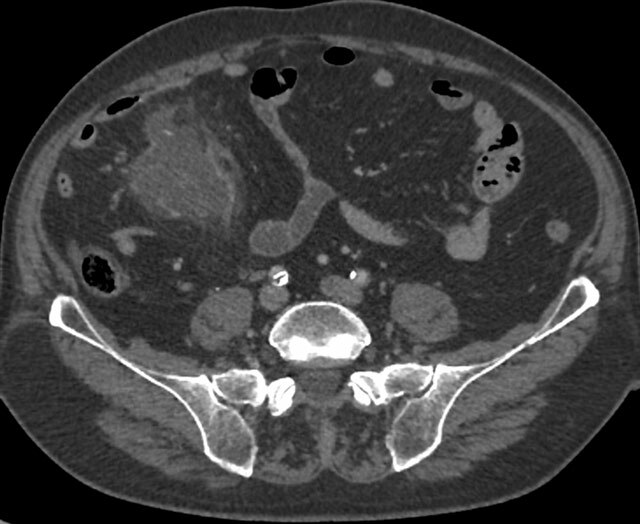 A 66-year-old man presented with a 5-day history of abdominal pain. He reported neither fever nor diarrhea. Abdominal examination revealed generalized tenderness and distension. Plain abdominal radiographs and ultrasound of the abdomen were normal.